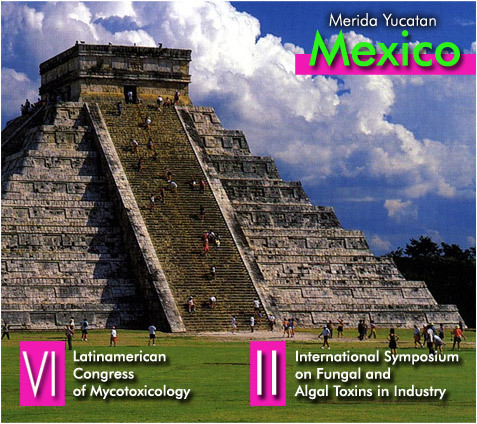 We have the pleasure to invite you to the VI Latinamerican Congress of Mycotoxins, organized by the Latinamerican Society of Mycotoxicology, together with the II International Symposium on Fungal and Algal Toxins in Industry, organized by the National Autonomous University of Mexico with an International Committee of several countries worldwide. 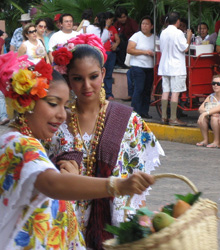 These two international events will be done simultaneously in Merida, Yucatan, the Maya land of Mexico, from June 27th to July 1st, 2010. We will do, together with you, a fantastic Scientific Program with the world best known mycotoxicologists and phycotoxicologists that will present you their last discoveries, many of them for the first time. You will have Poster Sessions where you can explain your work in front of the colleagues of your same science area, and also a Technological Exhibition of Industries related to mycotoxins and phycotoxins, to animal feed, animal, plant and human health, new methodologies, control and prevention, the last equipment and services for your laboratory or industry, finishing with mycotoxin and phycotoxin legislation sessions. You will have Pre-congress international courses and Post-congress tours all organized for you by professionals. A good Program for accompanying persons will be offered so you can bring all your family. 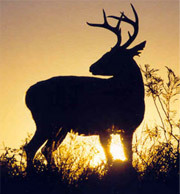 The atmosphere will be warm and unique, because Merida has different activities for tourists each night of the week, with good Mexican and Mayan music, “Yucatan” and international food in one of the most beautiful places of Mexico, the Maya land of Merida where you can visit Uxmal and Chichén Itza for a daylight visit or light and sound shows. The “Holy Cenotes” with caverns and underground rivers. The Maya culture is still alive, with a language spoken by millions of persons, their own music, food, ruins and homes that you can visit during daily tours. 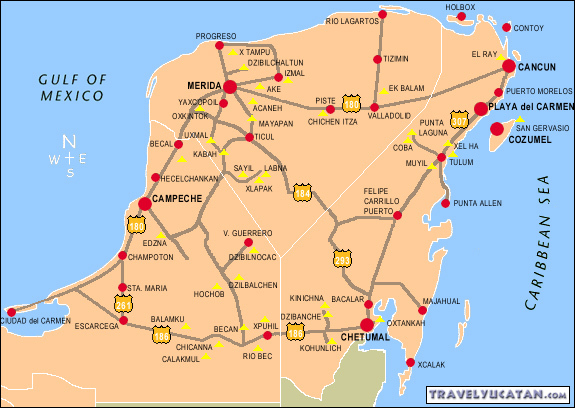 Merida is three hours time from Can-Cun with the Caribbean turquoise sea and white beaches where you can visit also Ixcaret, to understand the Maya culture. 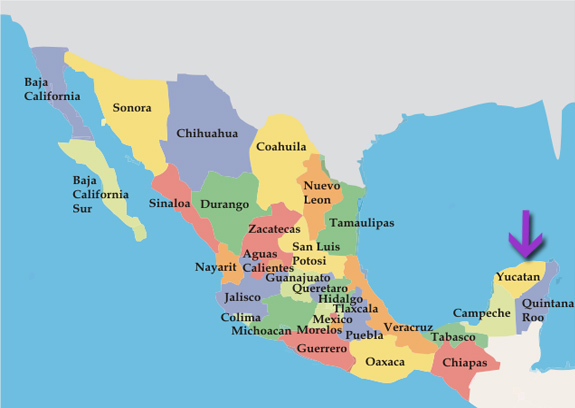 Both cities Merida and Can-Cun have international airports that can connect you directly from your country, without touching Mexico City, or if that is your desire you can organize your tour, in accordance with your needs, to all Mexico. The City of Merida, magic enchanted land, is in the State of Yucatan, 177 km from the City of Campeche and 320 km from Cancun; with temperatures from 28 °C to 35 °C most of the year, with coastal winds refreshing most of the year , even on winter. Merida was founded on the Maya ruins of the city of T’ho, that means " face to the infinite", Merida is known as the "White City" for its beautiful colonial buildings make with lime and pebbles, that joins as few cities in the country, history, art, tradición and culture . You can visit the Cathedral downtown, construction from XVI century; you can go to interesting museums, such as the Archeological Museum of Yucatan, placed in the Canton Palace, elegant building of the XIX century, and enjoy a "calesa",sort of carriage thrown by horses. The most important avenue is the "Paseo Montejo", boarded with wonderful houses of the XIX century and good hotels. In Merida you can taste exquisite dishes that identify the cuisine from Yucatan: " papadzules" and " panuchos", make with maize tortillas stuffed and accompanyed with hot pepper sauce and the traditional " cochinita pibil" done with pork meat in orange juice and served with beans and purple onion.